Google AdWords management professionals recommend advertisers use ad customizers to keep ads relevant even while they’re targeting multiple devices in the same campaign or ad group. With ad customizers, you can insert ad text in real time based on several criteria, including by device. There are two options for ad customization by device – ‘Mobile’ or ‘All’ devices. The above solution comes with several challenges. For example, you will need to run an ad that doesn’t have ad customizers and you will not be able to use tailored content for ‘Desktop Only’ or ‘Tablet Only’. This solution is great for AdWords management if you have simple campaigns structures that contain similarly performing ad groups. However, if you have ad groups that are performing dissimilarly, you should consider creating new mobile specific ad groups and campaigns. An AdWords management professional will tell you that creating separate mobile specific ad groups and campaigns offers great benefits, especially if your business is mobile-centric and your audience includes a significant number of smartphone users. By offering mobiles-specific results, you can drive CTRs and conversions. With this option, you can test multiple ad copy variations by device to find the best performing ones. You can set budget by device and optimize campaigns or ad groups for device based goals. You can implement day parting by device and improve your ability to segment and analyze data by device. 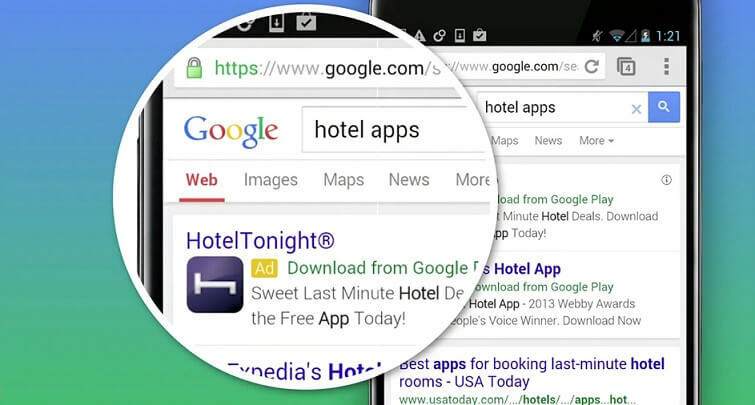 You can increase your ability to serve hyper local ads targeted at mobile audience. When setting up device targeting, you have two options – doing it at campaign level or ad group level. 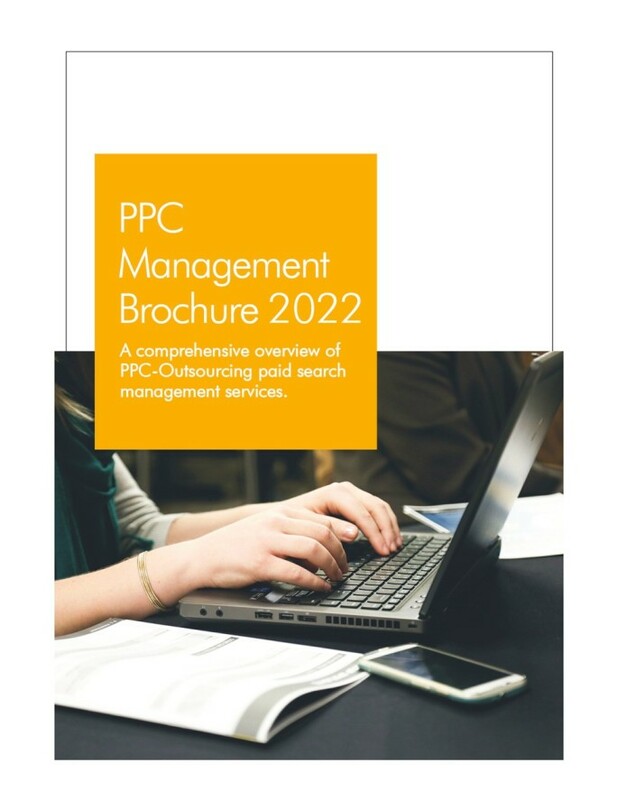 Experienced white label PPC experts strongly suggest that this should be done keeping in mind campaign structure and management preferences. If you have a simple campaign structure, you might be better off duplicating campaigns and managing device bidding at campaign level. Duplicating at ad group level might not be a good option if you have a large number of ad groups. If your business involves products that require mobile centric digital marketing funnels, determine the campaign/ ad group sets that cover them and duplicate them. The new mobile specific structures can be implemented only when the need arises and you can copy the same bid strategy as your other campaigns. 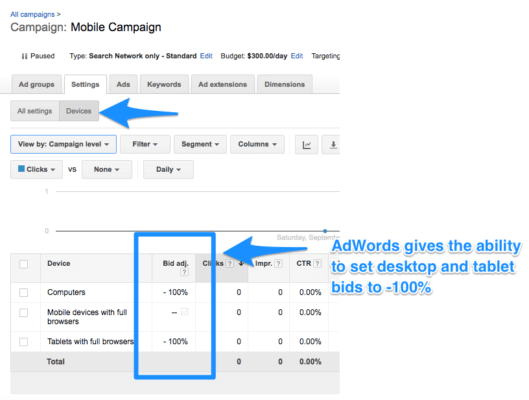 As far as bid adjustment is concerned, set -100% mobile bid adjustment for the original campaigns. For the new mobile-specific campaign, assign -100% for Desktop and Tablet bid adjustments. This will help channel limited ad spend to new mobile campaign from which you expect high CTRs and conversions. If you’re providing a superior mobile experience, make sure your ad copy reflects this. Let customers know how they can move further along the sales process to convert. Use terms such as ‘Buy from your cell’ or ‘Get a quote from your phone’ as these can motivate searchers to click on an ad while they’re searching. This is an excellent way to drive CTRs and conversions. The above tips require a significant amount of time and effort for monitoring, modifying and optimizing campaigns based on results. For hassle free management, partner us for regular or PPC management services. !